So, what exactly is a Google Post? 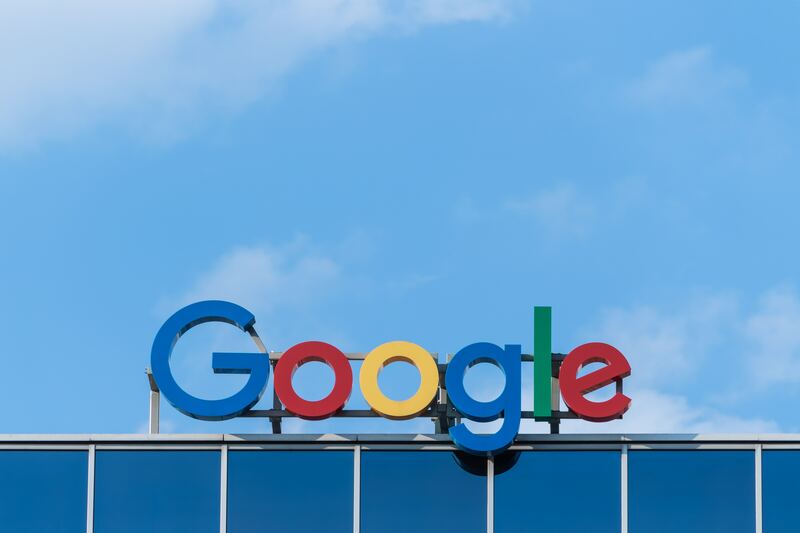 According to Search Engine Land, Google hasn’t yet given this featured an official name yet, however, it is a feature that allows people and businesses to create content directly on Google. First launched in 2016, Google Posts can have an impact on where your business ranks in Google search results. Here at Twenty Over Ten, we use Google Posts to help promote upcoming events such as webinars, specials, and other instances to help spread awareness about our company. So, as an advisor you may be wondering a few things: first, why should you be using Google Posts? When is the best time to use Google Posts and how exactly do you do it? Keep reading to learn more! 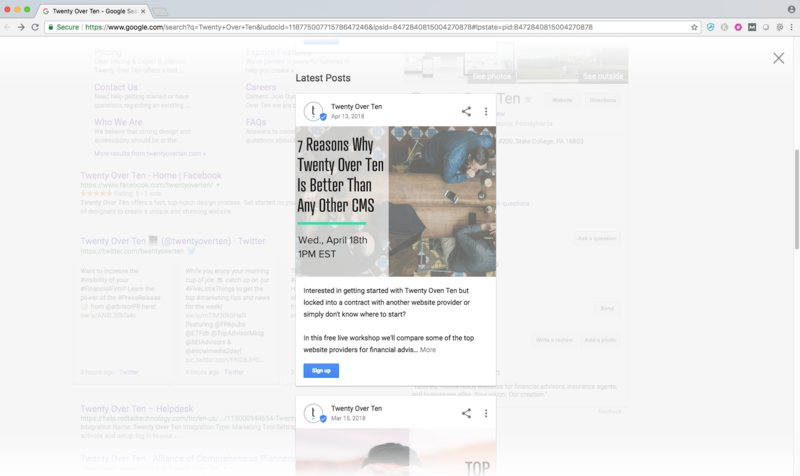 Twenty Over Ten’s latest Google Posts featuring webinar events, specials, and more timely brand-centric information. How Can Google Posts Help Boost My Business’s Search Ranking? As Search Engine Land says, there is evidence that Google Posts can increase your company’s SEO, however, it is best to couple this with other efforts for maximum results. Google Posts have been underutilized by businesses, and they are low-effort, low-impact, which is why they should be used in addition to other tactics, as mentioned above. Even after businesses quit posting, the rankings still maintained themselves for weeks, which is different from postings on other platforms, such as Google Plus. Since Google Posts is free, posting to the platform can be a real beneficial, low hanging fruit opportunity to raise awareness for your company. LunaMetrics concluded that is equivalent to doing a Facebook post, however, with a much broader reach. Where Do Google Posts Show Up? So, where exactly do these posts show up? Once you have created a post, users can see it in Google SERP’s and Google maps when searching for a company’s brand. The information appears in the knowledge graph to the right side of the search results, both on your desktop and on your mobile device. The above screenshot shows where a Google Post would appear within a Google search. 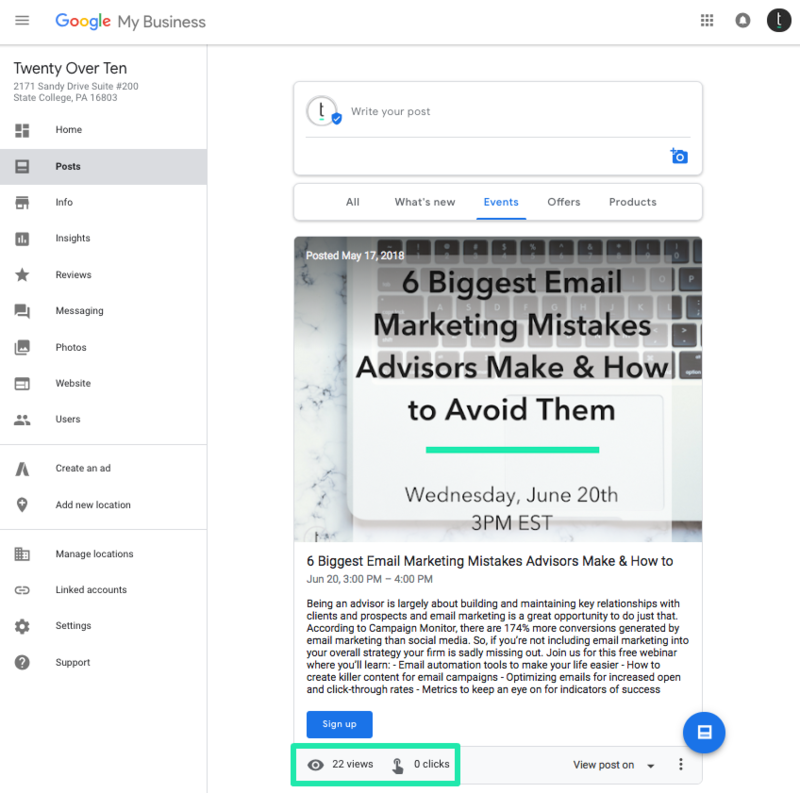 This particular example is a search for Twenty Over Ten and the Google Post is advertising and encouraging sign-ups for our upcoming webinar. The below video from Flyte New Media provides a helpful tutorial on how this is done. While the verdict may still be out on if Google Posts help boost your search engine rankings there are certainly analytics to show if your posts are receiving any clicks. Bonus: you can view your post stats even after your post stops running. To view your post stats simply navigate to the “Posts” section within your Google My Business account and at the bottom left corner of each post you’ll see how many times your post has been viewed and how many times your link was clicked (if you included a button on your post). 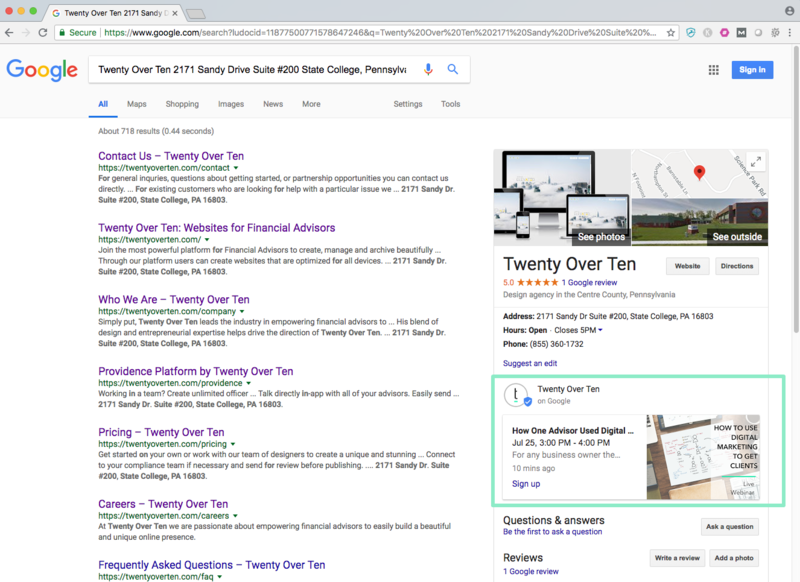 Twenty Over Ten’s most recent Google Post for a webinar event received 22 views and 0 clicks. 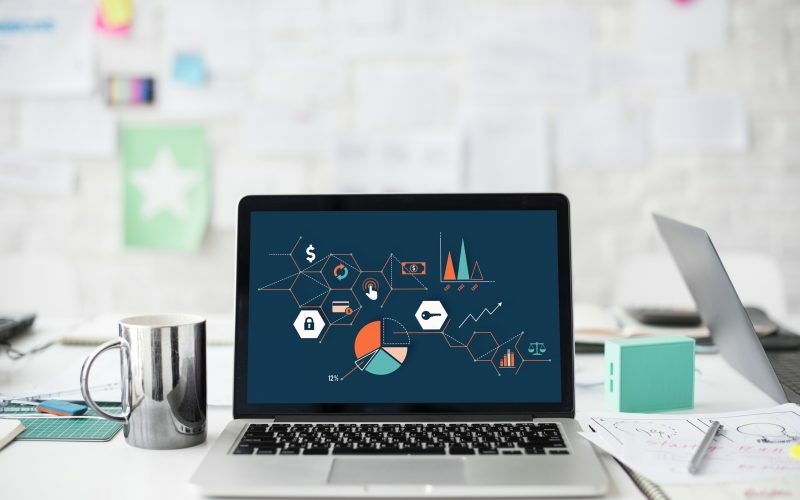 If you’ve been following our blog you know how we harp on keeping track of your analytics is key to any marketing campaign’s success. No difference here! Within your Google My Business dashboard you’ll get a very basic understanding of how your Google Posts are performing. To kick it up a notch consider creating landing pages for the events or specials your promoting so you can truly see when someone navigates to your site via Google Analytics. 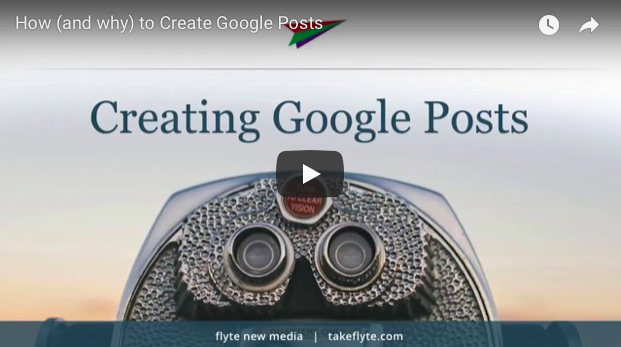 There are a few pointers to keep in mind to make your Google Posts effective. Keep it short and sweet! 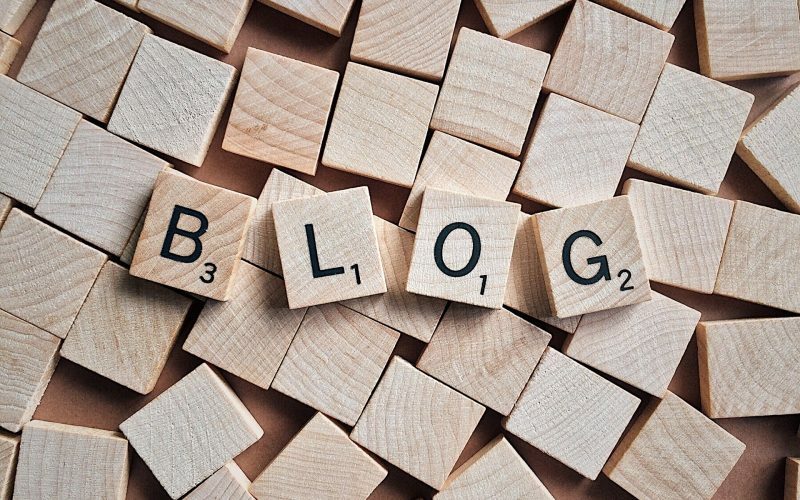 Posts can only be 300 words long, so choose something that will grab the audience’s attention. When using a visual, make sure it is center-balanced, so that the important part does not get cropped. Pictures that are smaller than 250×250 will not be accepted. Lastly, posts will disappear after seven days to keep content fresh. Google Posts are a great thing to add to your business’ social media posting routine. If you are already doing this, then it will only take a few extra minutes and has the potential to add valuable information to your marketing campaign.